I have not been "in the zone" for some time now and with the many meetings I have at work, I really miss the time when I basically spend the entire time absorbed in work and feeling focused and motivated. 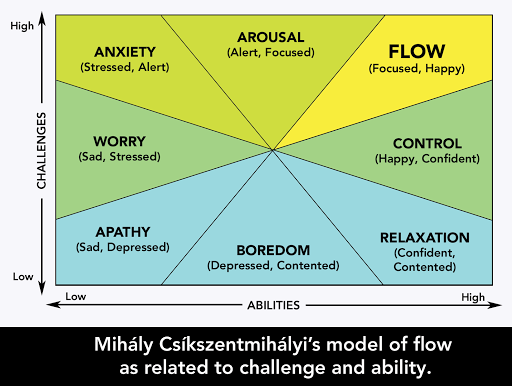 In searching for what it means by being in the zone, I found out about Mihaly Csikszentmihalyi, a Hungarian psychologist recognised for his work on the concept of flow. Here is his flow model in our mental states in terms of challenge and skill level. This is new to me and I would love to get my hands on his books to read. Do we reinstate a repented fallen pastor? Why are some people always late?